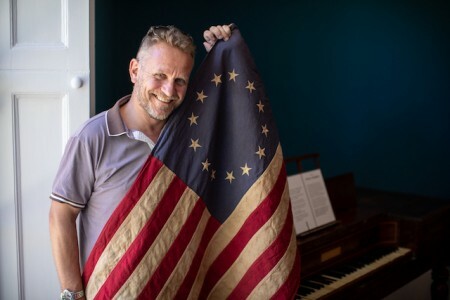 Today marks the launch of ‘Tour England’, an Anglo-American ‘Connections’ project, dedicated to motivating movement of visitors across and around England by producing a series of fresh, immersive English-themed tourist experiences particularly targeted at the American market. The large-scale collaboration between 13 destinations led by Destination Plymouth will develop tourism products in the lead up to 2020, a year marking the 400th anniversary of Mayflower’s historic voyage from Plymouth to the New World, and as a legacy beyond the project as the whole East coast of the USA turns 400 thereafter. Fionn Davenport, an award-winning travel journalist who has been appointed as the product creator for Tour England ‘Connections’ project will travel across each of the 13 regions of England to explore and experience the product that will appeal to the US market, to help create these itineraries. Amanda Lumley, Executive Director for Destination Plymouth and DEF US Connections Project Director commented saying that US visitors are increasingly seeking immersive experiences and they are eager for exploring new sights instead of merely enjoying sight-seeing. He added that they also want to be able to steep themselves in local cultures and traditions as they are fond of heritage and history of England and therefore they have set out to develop these bespoke, bookable itineraries. The new itineraries will be on sale and available for tour operators and agents to add to their portfolios from September 2018. Touring itineraries that bring the themes to life will be available, along with modular components that will enable the travel trade to take the elements that resonate with their customer base. Alongside the itinerary development, a series of training with the tourism businesses in the regions is underway to ensure that they are able to provide the rates and availability that tour operators need. VisitEngland Chief Executive, Sally Balcombe, said that the calibre of submissions to the Discover England Fund reflects innovation in product development thriving across the country’s tourism landscape. These successful projects will boost international and domestic visitor growth creating a step-change in the industry and spreading the economic benefits of tourism across England. Sally Balcombe also mentioned that the research shows that many US visitors come to Britain due to historic family connections and these ancestry themed itineraries will inspire them to explore more of regional England. Αναρτήθηκε από geop στις 4:49 π.μ.